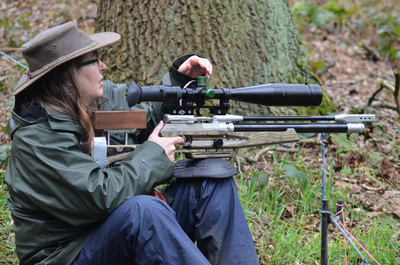 Yet another shoot for myself, Helen and Andrew to attend the Essex open at Springfield this is sponsored by the Airgun Center in Rayleigh Essex. First some history of this shoot which was introduced by Springfield airgun club two years ago which catered for both FT and HFT shooters and previously won by Craig MacDonald in 2014 and Barry Warren in 2015. The Airgun Center sponsored this event and put up the raffle prizes of a £300 voucher for 1st prize £200 and £100 vouchers for 2nd and 3rd respectively. Helen and myself have attended this shoot each year and the first year I was lucky enough to with the £300 raffle prize. Last year Andrew and Simon Martin joined us Simon shoot well and after a shoot off with Barry Warren was placed second. Anyway enough about the past this is another of the shoots we look forward to as Springfield is one of our favourite grounds to shoot. Forecast for the day was dry, cloudy with a 13 mph wind. 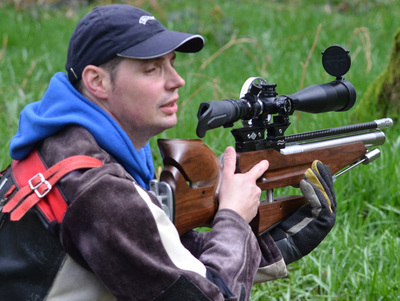 I had set up my second EV2 with another scope and was determined to use this rifle to prove the set up. Helen and Andrew picked me up at 7.45am Sunday and it was time for me to load the rifle into Helen’s truck. Much to my disgust I just couldn’t take an unproven set up (EV2 No.2) so in went old faithful known as number one EV. Off we set and I ask Andrew if he was brave enough to bring his springer to which he replied yes and from this point on I wished I’d picked up the other rifle EV2 No.2. Oh well we are on our way now even though Helen did offer to turn round, no its too late I replied. We arrived in good time and parked up in the field a short walk from the course. After booking in we said a few hellos then walked round the course which as promised was quite a bit different to previous shoots with a new section up the stairway to hell leading to the field of doom as its now called. Targets 1 to 8 where in this field section. ​Time for the briefing and allocation of lanes I was partnered with David Elvin, off we went to our allocated lane 9 and awaited the start signal. As FT’ers use there scopes for range finding and HFT shooter’s don’t they went first I can’t really remember how I did until I went out into the field of doom but at this point David was one target ahead of me at this stage, and I have no idea how Bob the HTF shoot was doing as even when they miss the kill they get a point. So with one target to make up and 8 targets in an open field, no problem just like shooting at our ground. David nails both ,first shot for me target 1 just outside left and a little breeze I release the shoot dink damn thing lands on my cross hairs, so swing round for target 2 this target was a bit further out and at a different angle to the first one so again 10 outside left edge of kill and again the pellet lands one pellet to the right of my aim point. On to lane two again David nails them both so its my turn again with the grass bend over at 35 degrees best stay in the kill for this one, down it goes right me thinks I know exactly what to do on the next one which of course was wrong I didn’t I dinked it. Next lane kneelers great I like these not too far away so shouldn’t be a problem again David nails both my turn and down goes the first one swing round to the next one and even though I thought it was a good shoot the target stayed upright. Now to the last two targets outside and again David makes the right decision and they both fall for him, I switched off at this point as id missed too many targets to put in a competitive score. ​A few more lanes inside and with David missing a few in the wooded area giving me the opportunity to pull some back and catch up but I failed to take advantage of the situation only managing to pull a few back to within one target by the last lane which was a standing lane. With a stiff breeze David nails them both I get the first one and struggle with the last one and release the shot as I couldn’t hold it on target any longer. So David finished two targets ahead of me with 31 to my 29. Time to go and see how Andrew and Helen have fared, Andrew had a few problems with his poi shifting so dropped quite a few targets before working things out and finished on 16. Helen comes towards us and declared her score of 36 ex 40 a good score any day of the week, but we are shooting against a few AA graders so could they produce a better score than Helen. 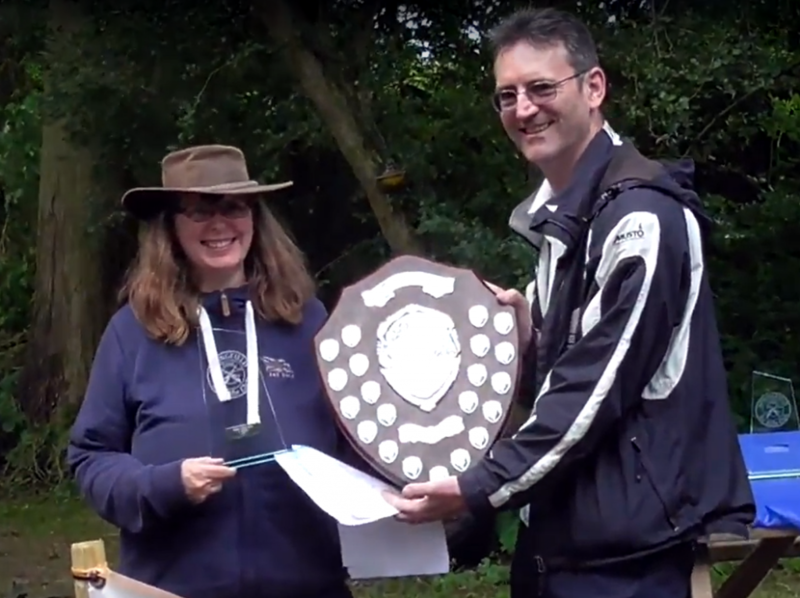 With the score cards handed in we await the results three AA shooters get called for a shoot off at this point we realise Helen has won the day and is now the new Essex open champion with a big bit of glass trophy and a huge shield to prove it. A few of us had been looking forward to this shoot knowing that the format of 40 targets in the morning stop for lunch and then shoot another 40 in the afternoon would make for a long day. Anyway four Midshires shooters attended myself, Helen, Andrew P and Simon, we where joined by a few of our fellow Fenland shooters. The day was forecast to be very warm with little wind. 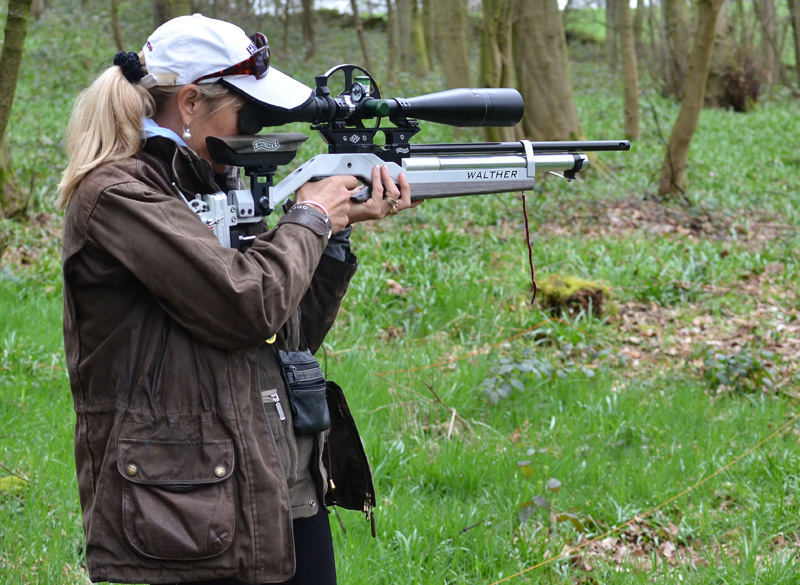 We arrived with plenty of time for a chin wag and a plink Helen disappearing to the plinking range ahead of me and Andrew and as usual we both spent to long chatting and nearly ran out of time for some zero checking. With the whistle being blown for the briefing and us still in the car park filling rifles and preparing ourselves the score cards where handed out to our shooting partners, Helen being paired with Peter Edwards son of my partner for the day Peter Edwards know to us as granddad, Andrews partner was Dan Ely one of the UK’s top shooters so a chance for Andrew to learn from a master, i can't remember who Simons partner was. Andrew then cleared the knelling lane while sitting on his bean bag so had to take two Fat zeros for that lane. Fortunately my positional shooting did not let me down missing only one of my positional shots all day. Then we get out into the bowl in full sun with a nice cooling breeze every now and then. I managed to finish the yellow course 7 down for a 33, Andrew 30, Helen 31 and Simon finishing with a fantastic 36. So after adding our scores together me finishing third with 67, Helen 64 and Simon 69 in A grade, Andrew finished second on 62 in B grade. 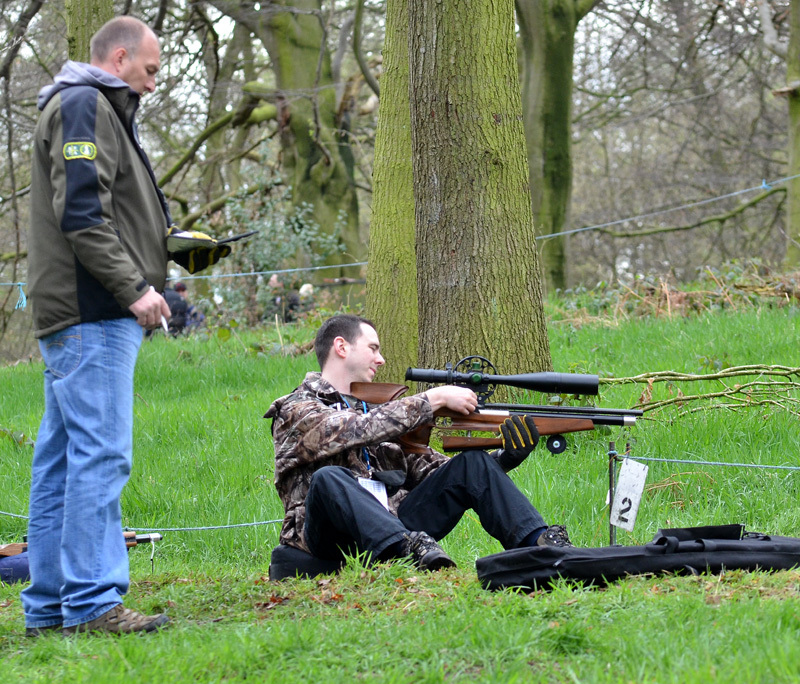 Simons score got him into a shoot off for 1st and 2nd place losing out to Simon High on a standing shot. Video below shows the days events. Well Saturday arrived I've been looking forward to this one as I missed the first round I arrived at the club about 8.20am to the sight of two red kites hoovering in sky. Our Russell Webb was going to come today and take some pictures for a magazine article he was going to submit to Airguner for publishing. Simon arrived next and we got on with setting out a course, keeping many of the targets close as we where expecting winds around 20 mph I was aware that I had put out a few reducers so when the other members arrived I suggested that the rest of the course be set using full size kills. Helen was obviously feeling very confident as she placed a 25mm target out at near full distance, she later changed it for a full size kill but now having seen her score I don't think a 25mm kill would have caused her too much concern. Well after a short chat about next years winter league grading we got under way. My shooting partner for the day was Andrew and the wind was clearly left to right our first target was number 1 a close 25mm reducer which shouldn't have caused too much of a problem but we both missed it Andrew not giving enough wind and me over cooking it. We both missed the next one and got the third. On to the next lane a kneeler Andrew cleared it and I made achieving a good score even harder by missing all three of them so after 6 targets I have one X on my card, omg me thinks. Then its Andrews turn to make FT look hard missing 4 out of the next 6 targets, fortunately I only dropped one of the six. I was giving about six inches of wind and in one case the target took another 3 inches. After both of us getting 2 of the 3 standers we moved to other end of the course to find that the wind was very different and seemed very tame in comparison to what we had just experienced especially as it was out in the middle of the field. We only needed to be just outside the kill for a knock down. Andrew finished on 17 and I managed a 20 to my surprise. Score cards came rolling in with a few very good scores for the conditions. I needed to collect Helens card as she had started checking her spring out the next round, so I asked her how she did hoping that it was less than mine only to find out she got a staggering 26 my immediate response was how the hell did you do that. So well done to Helen and thank you for making our scores look worse than I think they should be. So well done to those that attempted the course including Carl on his second visit to the club. A big well done to Ray with a pb of 21 (joint second today) with Simon Martin. Please refer to the competition section for full scores. 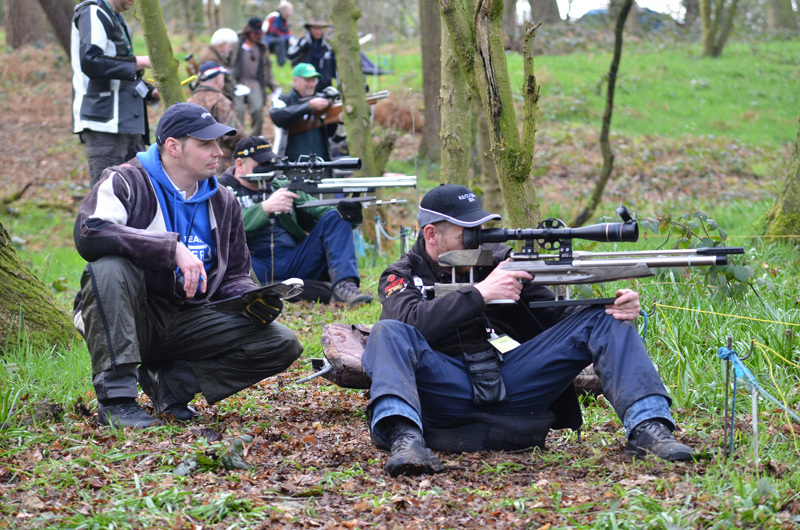 I can’t write much about the British Championship held on Saturday as I wasn’t there however Colin and Lori did shoot. Colin scoring an impressive 33 ex 40 and Lori achieving a score of 23. 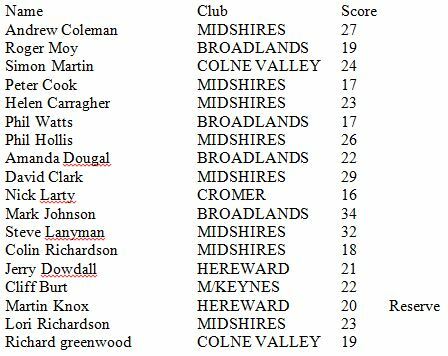 Seven of our members had qualified to shoot for the region the remaining eight places were made up of shooters from the other clubs in the Fenlands region. Most of us arrived with plenty of time to walk the course and check our equipment. 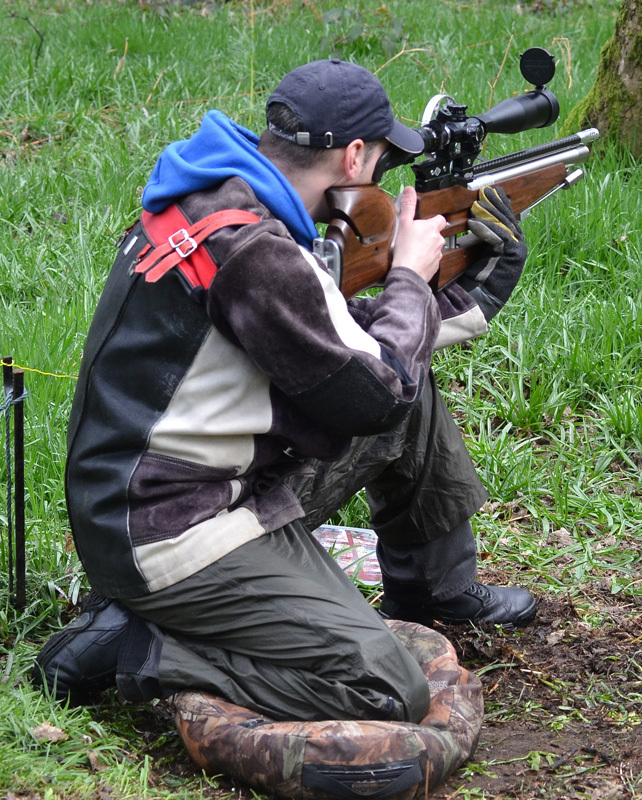 Was it rubbish shooting – not exactly most of my shots were well executed. So how did I get such a rubbish score? 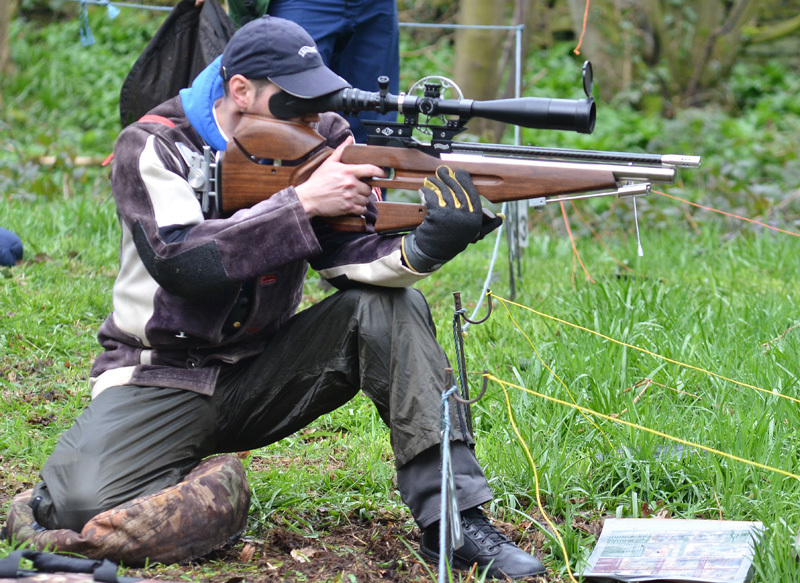 On the Saturday at the British Championships I put in a very reasonable 33 ex 40 (89%) despite missing the long kneelers whilst standing, beating many respected shooters. I missed a relatively easy shot when only 3 down and then proceeded to get the hump and miss the next two kneelers. Despite this I still managed to finish 28th out of 118. 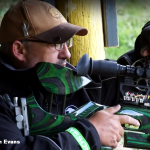 On Sunday I shot just as well but my score was cr?p – So What Went Wrong? So after the shoot I consulted a few shooters who had done reasonably well. 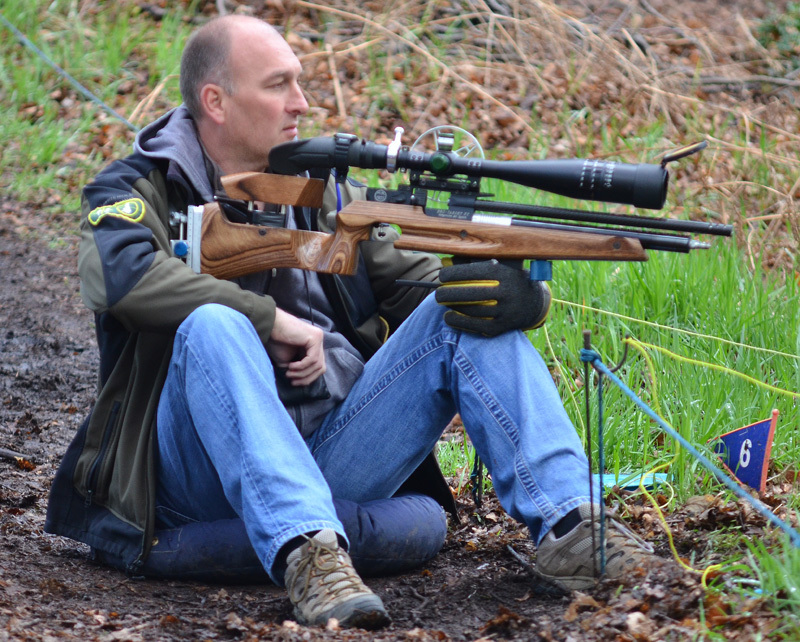 Mark Johnson – he got the best Fenlands score which, although he shoots consistently well, was a bit of a surprise. He said that he rarely came out of the kill just favouring the left or right side. 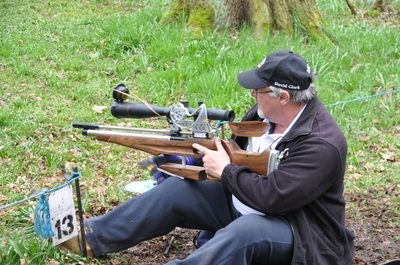 Steve Lanyman – He put in a good 32. He noticed that some of his shots were going straight so generally shot inside the kill. Cliff Bert – Always does well. He only got 22 a surprisingly low score. He was coming out of the kill and by the time he realised his error it was too late. Roger Moy – Consistently does well, only got 19 - Same thing as Cliff. 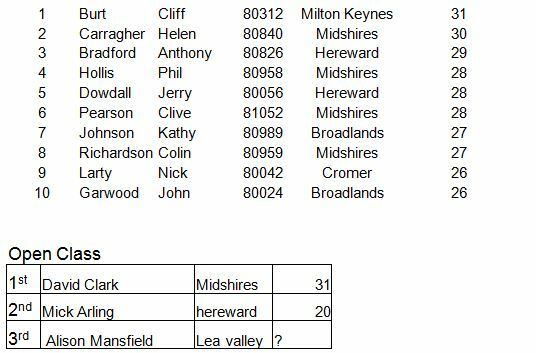 Nick Larty – Consistently does well, only got 16 and wasn't a happy bunny - Same thing as Cliff. So I could see a pattern emerging. I was outside the kill for most shots and unfortunately with the targets so peppered couldn't see where my pellets were landing. I just made the situation worse by giving more windage. Why I just didn't come in a bit I'll never know. Try to get an early session with clean targets. Trees have a marked effect on reducing the apparent wind speed, so take this into account. If you keep missing try aiming at the kill zone. Not a good year for Fenlands, Oh that we had a ground like Redferns to practise on, an undulating wood not a field. On the 16th march the Midshires Field target chaps and chapets turned out for the Fenland Championship shoot and the presentation of the winter league trophies. 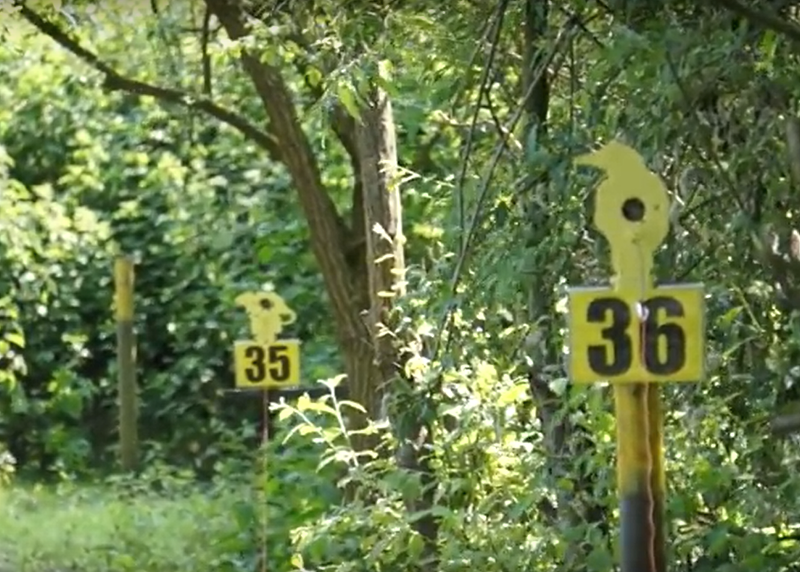 The shoot was a 40 target shoot with 12 of us competing against the rest of the Fenland region, it was also nice to see Bill with his camera digitally recording the day. I think we are all looking forward to seeing the pictures. It was a warm, pleasant sunny but breezy day the course was set out in 3 sections so the wind was coming from different directions. We didn’t disgrace ourselves with 4 of our shooters finishing in the top ten for the main shoot and one in the open class.